Himalayan Animal Rescue Trust is registered in Kathmandu as a not-for-profit company. It is based in Pokhara and is engaged in animal welfare work throughout Nepal. Nepal is a poor country that has recently undergone an extended period of political instability. Animal welfare is a low priority among many other pressing concerns. HART aims to reduce animal suffering over as wide a geographical range as possible, starting from a base in Pokhara. There are significant populations of street-dogs in all urban areas of Nepal. These live short, difficult lives. The local authorities have traditionally controlled the numbers of roaming dogs by the inhumane use of strychnine poison. 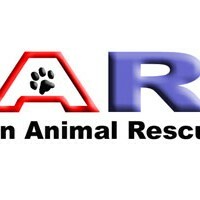 HART seeks to humanely reduce the roaming dog populations and to improve their status and their treatment by the communities in which they live. The cat population appears to be less than the dog population but feral cats are notoriously difficult to count. They would welcome contact from anyone who was interested in making a study of cats in Nepal. Mules, donkeys and ponies are used as pack animals in some parts of the country and as carriers in the brick kiln factories of the Kathmandu valley. HART supports Animal Nepal and AHTCS who run programmes to alleviate the situation of working equines. As a Hindu country, cattle are generally revered. However, bull calves and non-productive females are frequently abandoned to a life of scavenging on the streets. HART is closely involved in an initiative with other stakeholders in Pokhara to provide a cow sanctuary, or Gaushala, for the town.